Founded in 1909, China University of Mining and Technology-Beijing (abbreviated as CUMTB) has just celebrated its 100th anniversary. The university is one of the key universities directly supervised by the Ministry of Education. Giving priority to engineering courses among the other disciplines of science, liberal arts, management, law, and economics, CUMTB is a university with mining features. Having been listed in the national “985 Project” innovation platform and the “211 project,” it is also one of the first universities for the Strategic Alliance of Industrial Technology Innovation and one of the first universities authorized to confer doctorial and master degrees. CUMT (Beijing) consists of one graduate school and 8 academic schools, and offers 50 specialties for doctoral students, 96 specialties for master students, and 62 specialties for undergraduates. It has 2 State Key Laboratories and one National Engineering Research Center, together with one key laboratory and 2 engineering research centers listed by the China Ministry of Education, one key laboratory listed by the Beijing Municipal Government, and more than 20 basic laboratories in various disciplines. The university has 11 postdoctoral exchange centers. 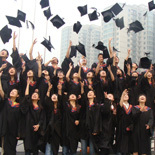 At present, the total number of students in CUMTB exceeds 10,000.